Celts good but are they great? 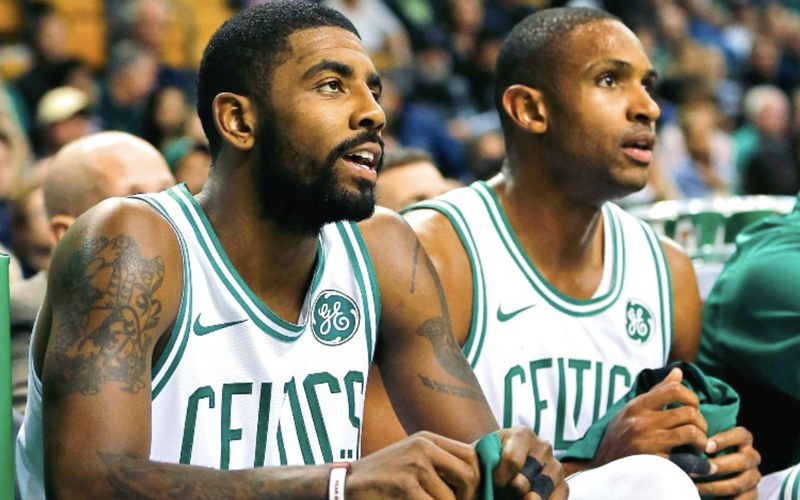 If you looked up one of the best online sportsbooks in the industry and read a BetOnline review, found over at Sportsbook Review, you would know that this top-notch book was hanging the Celtics as 15 ½ point favorites in Wednesday night’s game against the Cavaliers. Yet, even that swollen number was not enough for those who backed the big underdog from Cleveland. Terry Rozier got the start in place of Kyrie Irving and led the team in scoring, dropping 26 points to go along with eight boards and six assists. Rozier was hot as a pistol to begin the game, draining his first six shots from the field and Boston drew away to an effortless 123-103 victory against the overmatched Cavaliers. Rozier conjured images of Paul Pierce, becoming the first Celtic to score 20 or more points in the first half on perfect shooting as he went 8-for-8 (including a pair of three-pointers) since Paul Pierce went 7-for-7 did it back in ’09. Although the Cavs were without their top gun Kevin Love, Irving was recuperating from flu-like symptoms and big Al Horford was given a night to kick back and relax. Head coach Brad Stevens knows when he has the luxury of resting one of his starters despite his superstar being absent. A date with Cleveland is undoubtedly the best time to give your starters a breather, especially when you have faith that your backups will deliver. Aron Baynes was one of those subs and has given the team a boost since he returned after missing 13 games with a broken finger according to Stevens. "His spirit is felt," Stevens said before the game. "You can feel it in practice, you can feel it just around the gym." The Shamrocks are now a sizzling 19-5 straight up at home and will have an enormous test on Saturday night when they host the defending champion Golden State Warriors. And that brings us to our question. Is this 2018-2019 edition of the Boston Celtics simply a very good team or one capable of dethroning the best on the planet? I guess it depends on what week you ask because before this five-game winning streak occurred, coincidentally - or not - with the return of backup Aron Baynes, Boston dropped three straight on the road and we’re not talking Houston, Milwaukee, and Golden State. Consecutive losses to those NBA powers in their own barn would be concerning but somewhat understandable. We could justify it to some extent and chalk it up to a brutal stretch against the best on the highway. However, when the three losses in question come at the hands of the Heat, Magic, and Nets it makes you think. If you can’t win on the road then you can’t go very far when the postseason commences. As their impending clash with the Warriors looms, Boston is 11-13 (9-15 against the spread) away from the Garden and some of those losses have been ugly. However, if you’re a glass-half-full kind of guy or gal then perhaps you can make a case that the C’s are righting the ship as evidenced by their 113-105 victory in Atlanta last Saturday night. Yeah, it’s the Hawks so no great shakes but a win is a win and getting one on the road for this bunch has become a big deal. Although we are still three months away from playoff action, it’s hard to predict where the Celts will finish. If the postseason started today, Boston would be the No. 5 seed in the East and for a team that reached the Conference Finals without the services of their superstar Kyrie Irving and took King James and the Cavs to seven games, that can be considered nothing but a categorical failure. However, there is still plenty of season left and the Green is within striking distance of the top spot currently occupied by the Bucks and Raptors. We know they can beat those teams because they’ve gone 4-2 combined against them already this season. The question is can they start to become more formidable on the road and more consistent overall? Although Saturday night’s game will be played at the Garden, it will give us a glimpse as to how this team compares to the best in the business.